As with Italian pizza, no one knows exactly when the first Horalky appeared. It was most likely by the end of the nineteenth century in the south of Slovakia and since then the recipes were handed down from generation to generation. 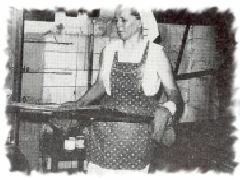 On January 1, 1953, the company Slovenske pecivarne Sered was founded and during the consolidation of smaller factories, it acquired the original recipe for Horalky. For forty years, the company continued to make the wafers for the Czechoslovak and other eastern bloc countries. In the 1990's the company was privatised and then acquired by I.D.C. Holding, a.s. (Sedita), the company that manufactures Horalky to this day.